Heart attacks occur because the supply of blood flow to a person's heart is disrupted. The heart really needs a constant blood supply that contains lots of oxygen, as well as other organs and tissues in the body. If a person's heart does not get enough blood supply, then the heart muscles will be damaged and eventually, the person will die. The heart muscle can suffer irreversible damage if not treated promptly. The heart will stop beating if the damage occurs in most of the heart, this is known as cardiac arrest. Ultimately, this condition will cause death. 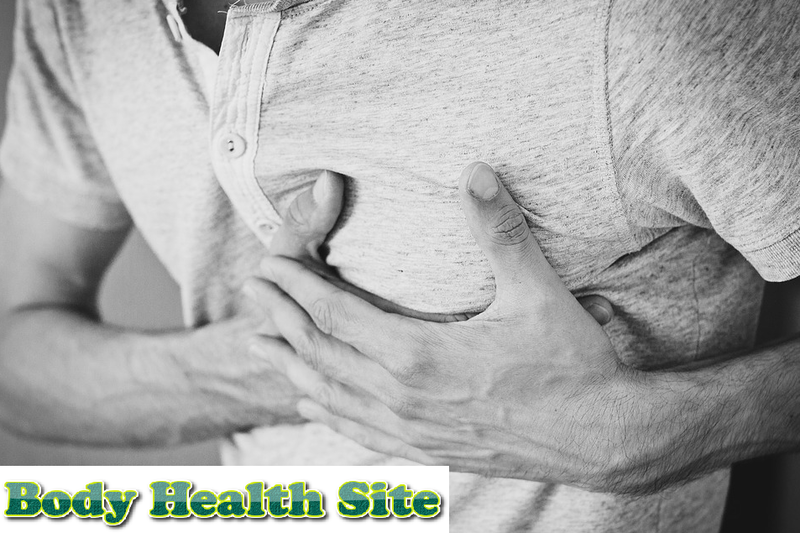 The main condition that often causes the heart attack is coronary heart disease. This is a condition in which coronary vessels become blocked by cholesterol buildup (plaque). After some time, the plaque will crack. The result, there are blood clots in the cracked plaque. The flow of blood supply through the coronary vessels to the heart will be blocked by this clot and eventually lead to a heart attack. Drug abuse. Neuroprotective drugs such as cocaine, amphetamine (methamphetamine) and methamphetamine (also called Meth crystals) can cause constriction of coronary arteries, inhibit blood supply, and trigger heart attacks. Heart attack in cocaine users is a major cause of death at a young age. Aneurysm. This is a condition when there is a weakness in the blood vessel wall. The walls of weakened blood vessels eventually cannot withstand the pressure of blood flowing through it. As a result blood vessel will experience cracks. If aneurysms occur in the coronary arteries, then the blood flow is blocked and heart attacks occur. Hypoxia or lack of oxygen in the blood. Oxygen levels in a person's blood can decrease due to carbon monoxide poisoning or damaged lung function. It causes the body to drain blood that does not contain oxygen and trigger a heart attack. There are several risk factors that contribute to the cause of fat accumulation and eventually narrow the blood vessels. Some of the factors mentioned below can be handled or eliminated to avoid heart attacks. Family health history. If there are close family members, especially parents and siblings who have a history of heart disease, the risk you will experience is twice as high. Smoking. Carbon monoxide and nicotine in cigarettes can increase the pressure on the heart by making the heart work faster. Cigarettes can also cause blood clots. Chemicals in cigarettes can damage the lining of coronary arteries. People who smoke are 24 percent more likely to have heart disease. Diabetes. In type 1 diabetes and uncontrolled type 2 diabetes, high blood glucose levels damage the coronary vessel wall. Diabetics are more susceptible to coronary heart disease. Hypertension or high blood pressure. Coronary vessels will become weak if hypertension is not treated. Obesity or overweight. This condition does not directly increase the risk of coronary heart disease or heart attack. But this condition can be a trigger for the emergence of other risk factors. People with weight are more likely to have hypertension, eat fatty foods, and are at risk of developing diabetes. Age and gender. The more a person ages, the possibility of suffering from coronary heart disease also increases. The possibility of men being more affected by coronary heart disease than women. Liquor. Excessive consumption of alcohol can cause hypertension and cholesterol levels to increase. As a result, the risk of coronary heart disease also increased. People who like to drink liquor tend to live a worse lifestyle, such as smoking, eating fatty foods, and lack of exercise. Food. Foods that contain lots of saturated fat increase cholesterol levels in the blood. In addition, the risk of suffering from coronary heart disease and heart attacks will also increase. To lower cholesterol, you can change your diet and take statin drugs. Sports. Lack of exercise can result in obesity and hypertension, which in turn increases the risk of heart attack. Air pollution. Based on research, exposure to air pollution, especially vehicle fumes, can increase the risk of coronary heart disease. Have problems with autoimmune diseases. Diseases such as arthritis, lupus, and other autoimmune diseases can increase the risk of having a heart attack. History of preeclampsia during pregnancy. Women who have preeclampsia or high blood pressure during pregnancy are at higher risk of heart attack. 0 Response to "Causes of Heart Attack"